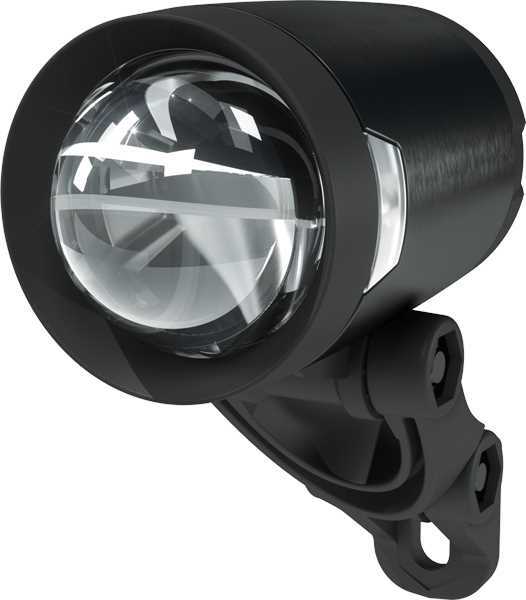 HERRMANS® H-BLACK PRO E-Series head light with the new patent pending Projector Technology (P-Tech). Automotive technology transformed to the bicycle industry. 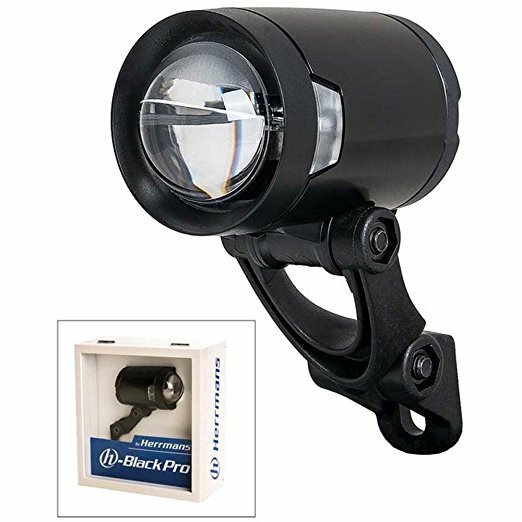 The P-Tech feature offers extremely high optical efficiency and exact 100% guiding of light. Resulting in superior light output and a focused light beam with a sharp cut of line. -> More light on the road (where needed). The light pattern is optimized for the rider - super wide, long and homogeneous light distribution (widest on the market). The H-BLACK PRO E-Series head projector light for dynamos 6V (AC) delivers a strong light output, preliminary of up to 200 lumens. The lamp offers near field illumination as well as non-flickering illumination also at low speeds. 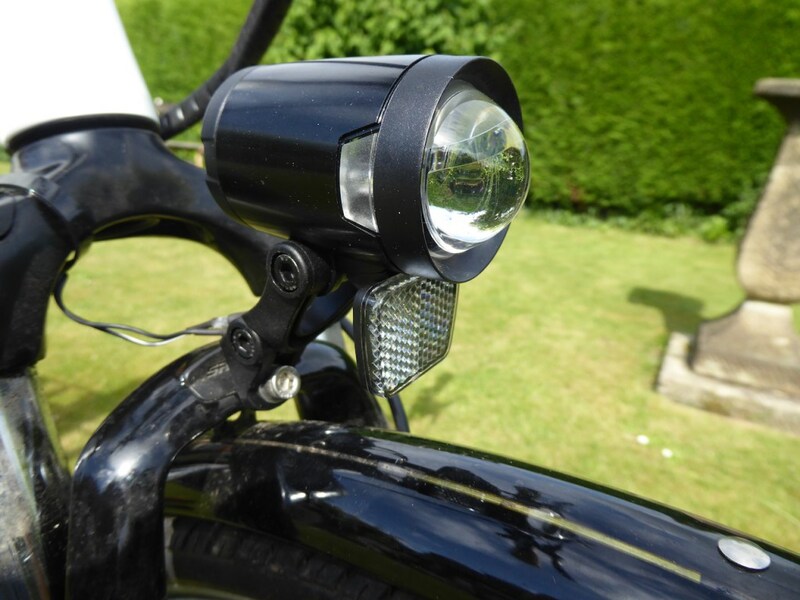 To be seen by other traffic the H-BLACK PRO E-Series has additional LEDs for clear side visibility. Stand light and distinct ON/OFF switch that is easy to operate. Rear light connection with short cables. 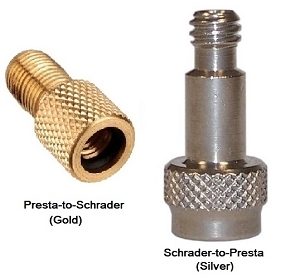 Small and elegant contemporary alloy housing (CNC) provides both robustness and excellent cooling of the LED. Thanks to many assembly options the lights fit all types of bicycles. The H-BLACK PRO fulfills a number of European road traffic regulations. This light is very bright, has an effective light pattern and is very well made. The body is solid aluminum and the switch is quite elegant and understated. It works by twisting the back. I power it with a Shimano XT generator hub. Usually I run it day and night for added visibility. Installation was a cinch with the bare ended wires going to the hub and the ones with little metal coupler ends going to the tail light. The stand light function also works well. 100% loving this light. Thanks Cantitoe Road!" 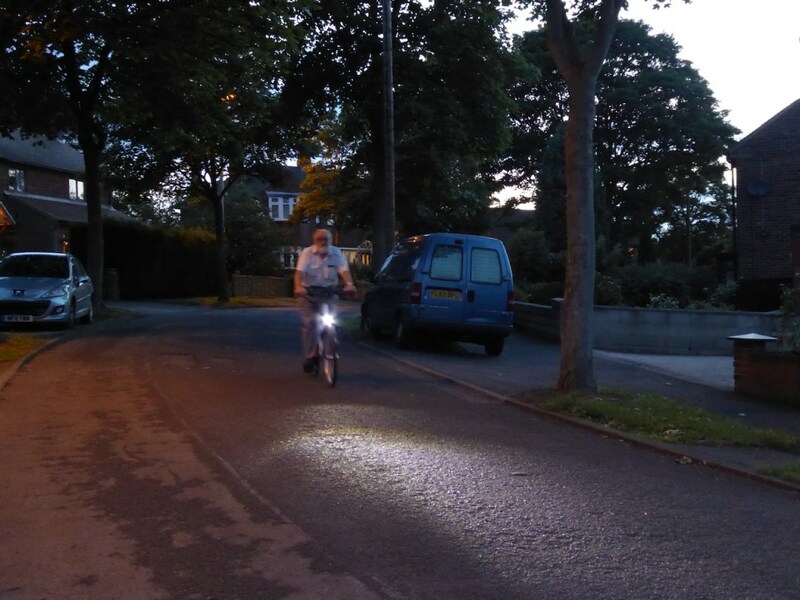 "All in all one of the very best lights we have ever tested." We build a ton of dynamo set ups at our shop. This light is a great light for any price. Brighter than a Busch and Muller Luxos U on boost, which puts out 90 lux. So I'd guestimate this puts out 100 lux or so. Nice even beam, good side illumination, easy to set up. As good as lights that cost 70 bucks more. Recommended.